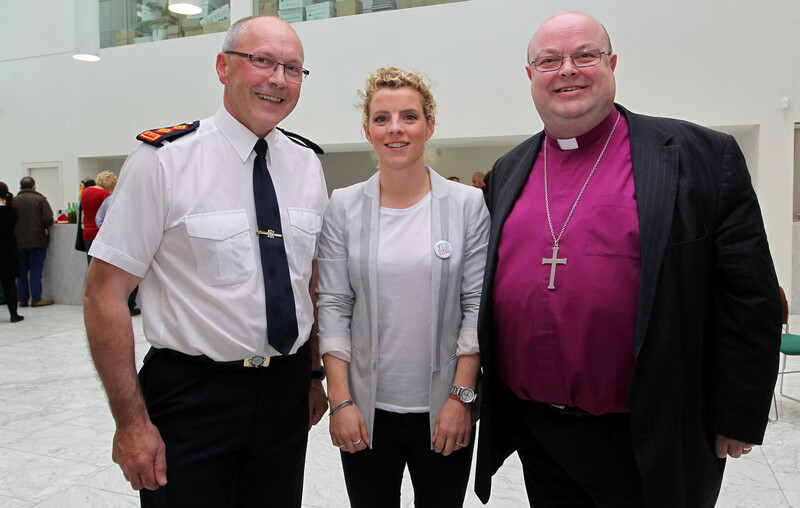 On Monday 11th May, the Bishop of Cork, the Right Reverend Dr Paul Colton attended the launch, in Cork City Hall, of the 2015 Cork LGBT Awareness week. The speakers this year included the Deputy Lord Mayor of Cork, Cllr Kenneth O’Flynn, Chief Superintendent Mick O’Flynn of An Garda Síochána, and this year’s guest of honour, Valerie Mulcahy, of the Cork Ladies’ Football team. LGBT Awareness Week is supported by an inter-agency group made up of: Cork City Council, HSE South, Cork ETB, Dept. of Social Protection, An Garda Siochána, Cork City Partnership, LINC, Gay Community Development, Cork Trans Support Group, Ballyphehane Togher CDP and Sexual Health Centre. This is a week organised by our partner groups in civic society in Cork. I’m glad to support to support these partners, not least because the week also aims to tackle the homophobia that still, shockingly, exists in our society. In addition, it is important, from a Christian perspective, to acknowledge that many LGBT people are also people of faith, taking part to the full in the life of our churches, as they have been for centuries; they make a significant contribution in our spiritual and religious life. More generally, as a Church, we want to affirm that our doors are open to all people, whoever they are, and wherever they are on their journey of faith. This entry was posted in Bishop, Church in Society, Community Involvement, Contemporary Issues, Cork, Diocese, LGBT, Pastoral. Bookmark the permalink.